[Surrey, England] – An aspiring young dancer has been cast for a ballet production of Snow White that will run in London’s West End at the end of April. 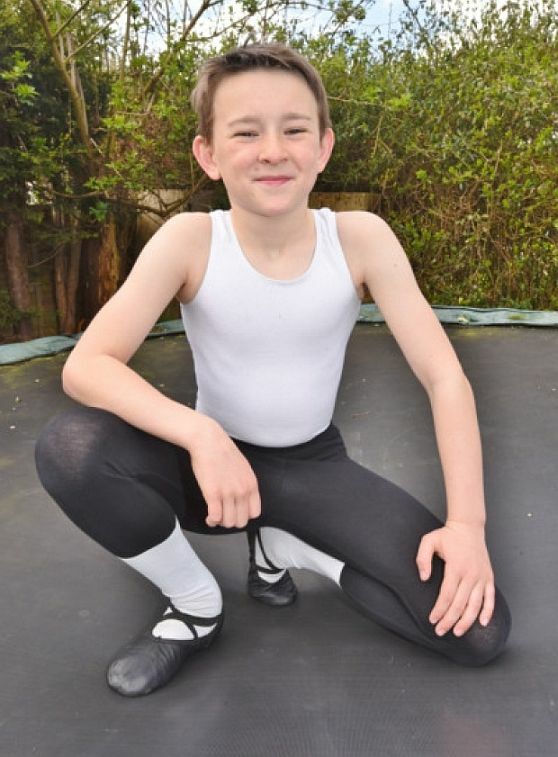 Fred Dixon, 14, who attends Heathside School in Weybridge, will dance the role of the king, Snow White’s father. Snow White is a London Children’s Ballet production, a performance company founded in 1994 that gives children the opportunity to perform as part of a professional ballet production free of charge. 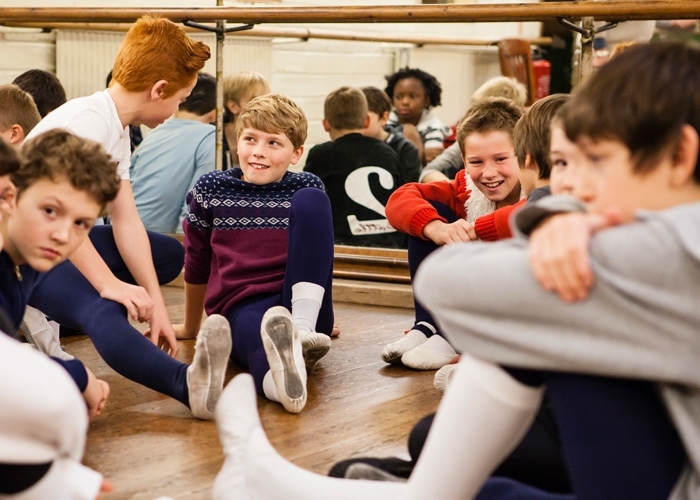 Only 56 children aged nine to 16 will dance at the Sadler’s Wells Peacock Theatre from April 23 to 26. Fred started dancing when he was seven and was inspired by TV show Strictly Come Dancing. Sharon Rault, his teacher at the Susan Roberts Academy of Performing Arts, put him forward for the auditions for Snow White back in November. The ballet will be choreographed by Jenna Lee, who danced until recently as a soloist with English National Ballet. For more information about the ballet, visit londonchildrensballet.com. [Portsmouth, England] – A talented trio are to perform in a production of Snow White in the West End this month [April]. 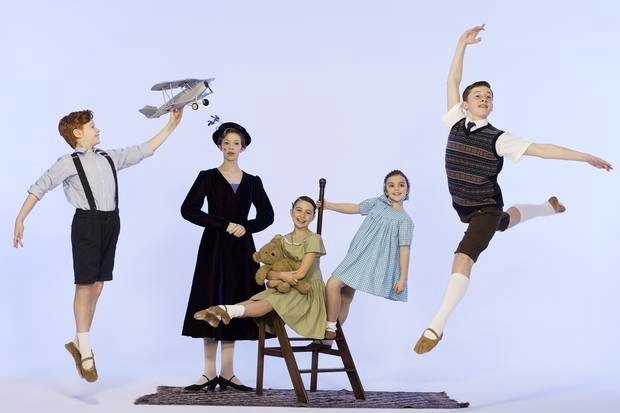 Hugh O’Sullivan, Lewis Heath and Tilly-May Padley are currently rehearsing as a part of the London Children’s Ballet group. The cast of Snow White aged 9-16, represents 56 of the best ballet talent from across the UK who will perform at Sadler’s Wells Peacock Theatre, London. Lewis who trains at the Southsea School of Dance has been cast in three roles including a kings huntsman. 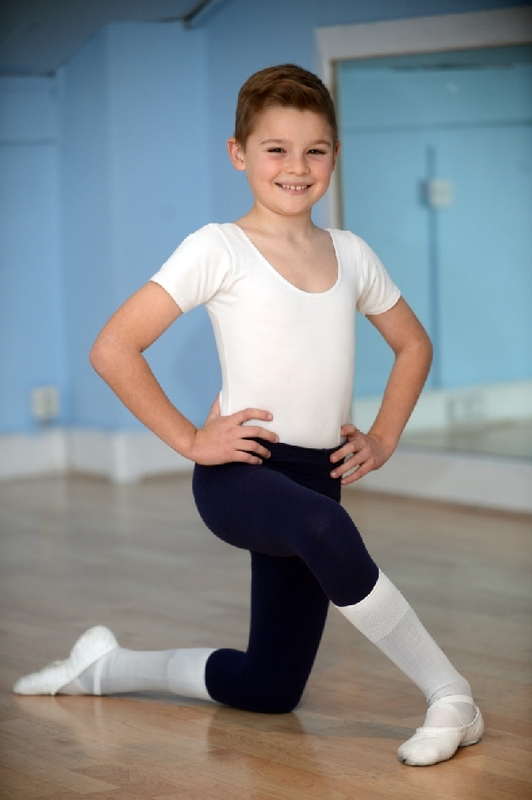 Dancing alongside him will be another Southsea pupil, Hugh O’Sullivan from Old Portsmouth. The 12-year-old performed in last year’s production of Nanny McPhee but it wasn’t easy for him to be cast in Snow White. Playing Happy the dwarf is the production is Tilly-May Padley from Drayton. The 11-year-old recently performed at The Kings Theatre’s staging of Sleeping Beauty. According to directors she was the ideal choice to play Happy since her first audition. To get their roles the trio had to compete against 600 young hopefuls all wanting their moment in the limelight. On a cold day in October Isabella Koos, 14, was one of 500 children assembled in a studio in west London to audition for the London Children’s Ballet’s latest production, Nanny McPhee – The Ballet. Although it is called the London Children’s Ballet, children from anywhere in the country may audition. Isabella lives in Totnes, Devon. She came to ballet when she was six, and it became her life. She danced whenever she could: five times a week by the age of nine. Her performance as the Sugar Plum Fairy in her school’s end-of-year show was remarkable. ‘She led the little group, was totally focused, remembered all her steps, looked straight out at the audience,’ her mother, Gabi, a nurse, remembers. But the top ranks of classical ballet require a certain body type. ‘Small head, long neck, narrow hips, long arms, legs proportionally longer than your body,’ Gabi runs through the criteria. There is also the matter of ‘line’, the arrangement of the head, arms, body, legs and feet in a pose or movement. Good line is critical. ‘You accept it,’ Gabi says. ‘If you want to be a runway model, you have to be 6ft tall. It’s no good if you’re 5ft 6. It’s no good wishing you were 6ft, you’re not.’ But Isabella’s dream was to dance for a large audience. She worked hard, but there was no opportunity. Until they came upon London Children’s Ballet. London Children’s Ballet was founded as a charity in 1994 by Lucille Briance, 61 (she remains artistic director), the mother of a ballet-mad daughter who desperately wanted to be a ballerina but did not have the ‘right’ feet or knees. ‘Her knees hurt now and they hurt then,’ Briance says of Zoe, then 10. ‘She wouldn’t have had the slightest chance of getting into the Royal Ballet School.’ Briance looked for an outlet for Zoe’s passion that would allow her to dance more seriously but carry on at school. There was no such place, so Briance created it. She wrote a ballet (adapted from Oscar Wilde’s The Happy Prince), hired a choreographer, found a studio and advertised auditions for a new ballet to be performed entirely by children. LCB is now in its 20th year and is celebrating with ballet based on Emma Thompson’s Nanny McPhee films, about a stern governess who uses magic to restore order to a household with seven children. Thompson, who also plays Nanny McPhee in the films, wrote the scripts based on Christianna Brand’s Nurse Matilda books. Each production, created from scratch, has an original score (‘There’s an orchestra! Not music coming out of a speaker!’ one child enthused), rich sets, costumes and top choreography. Briance adds to the pressure by writing the ballets herself because ‘we need to do something that hasn’t been done before and done better’. She has written 17 so far, all adapted from classic works of literature such as The Canterville Ghost, The Secret Garden and A Little Princess. Nanny McPhee is her first to be based on a contemporary film. The idea is not talent-spotting, though LCB has changed lives. Anna Rose O’Sullivan, who played the lead role in A Little Princess in 2004, for example, was heading for a future in musical theatre until LCB highlighted her rare ballet talent. She is now an artist with the Royal Ballet. But the hope is to teach children the transferable skills of discipline, patience and teamwork. The London Children’s Ballet calendar starts in October, with the first auditions (there are three rounds in all). Rehearsals are every Sunday from January until the performance, in April (with two intensive weeks over the Easter holiday). Today is November 17, the final round of auditions. 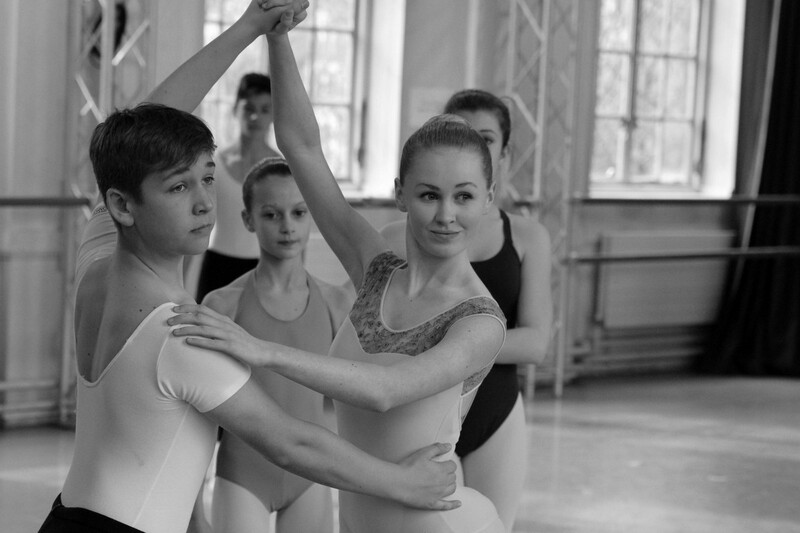 One hundred hopefuls are assembled at Dance Attic, a rehearsal studio in west London, to compete for 62 places. The children have been told to wait in a ‘holding room’, a small studio that is now a mess of ballet bags, clothes and lunch boxes. The mood is tense. 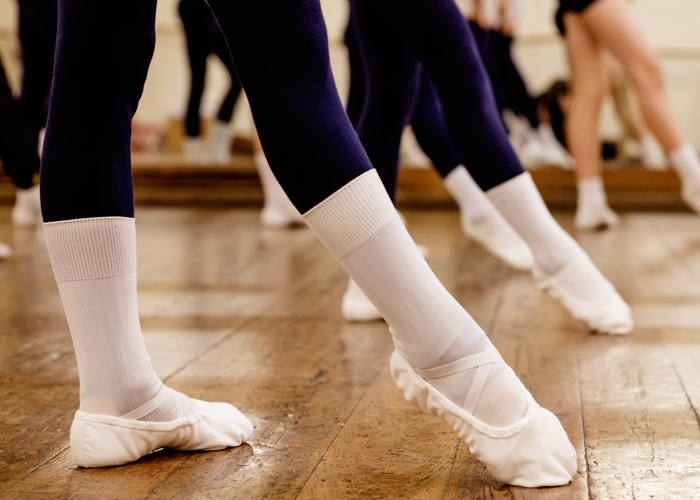 Some dancers stretch their legs at the barre. Some stand still, hands on hips. Others compulsively adjust their leotards. There are Fattypuffs and Thinifers, leotards in pink, sky blue and white, and hair is parted dead centre and pinned at the back – the importance of ballet buns having been drummed in by teachers with names such as ‘Miss Heidi’ and ‘Miss Nisa’ at dance schools back home. Cameron Nolan, 10, a sweet-faced boy with red hair, is here because, for some reason, when he was seven he started walking on his tiptoes. ‘Sometimes I’d do it to stretch, sometimes to make myself feel a bit taller. I’d do it naturally,’ he says. ‘Friends would joke that I should do ballet, and I thought, “Maybe I should.” ’ He was drawn in by the Billy Elliot effect. He now goes to lessons near his home in Banstead, Surrey, where his mother is an estate agent and his father a rugby coach, and still plays rugby every Sunday. ‘Ballet has helped my rugby,’ he says. ‘It’s improved my balance.’ He uses chaîné turns – fast turns along a diagonal line – to dodge tackles. Ruby Spicer, from Sidcup, has cherubically curly hair and at nine is the youngest at today’s auditions. She suffers from chronic asthma and severe allergies, and her consultant suggested dance as a way to build stamina and confidence. ‘She was in and out of hospital so many times she missed a lot of school,’ says Ruby’s mother, who works in social services; her father is a psychotherapist. Ruby started ballet at the age of three and does three classes a week. Her favourite position is the splits. Mukeni Nel, 16, had a dramatic start in life. As a newborn he was abandoned in a village just outside Nairobi, Kenya, and he was abandoned again in the hospital he was taken to after being found. ‘They left me to die,’ he says. An untreated eye infection has left him blind in one eye. At seven months old he was taken to an orphanage, from where he was adopted by his British father and Kenyan mother. ‘My mum couldn’t have children and she wanted to adopt a girl, and of course I wouldn’t have been adopted by anyone because I’m not the perfect child. But my dad said, “If you’re going to adopt anyone, you have to adopt this one” – looking at me – “because you can really make a difference to his life.”’ His name means ‘forever happy’ in his mother’s native language. The auditions are held in a large room with a pianist and a mirrored wall. The judging panel comprises Briance; Fiona Chadwick, a former principal ballerina at the Royal Ballet who is clever at spotting technique; Erico Montes, 28, the choreo-grapher, and Gemma Pitchley-Gale, 26, the LCB ballet mistress – both dancers at the Royal Ballet. They sit at a table with sheets of paper and put ticks or crosses under two headings: charm and choreography. Sandwiches, fruit and fondant fancies have been placed nearby for their lunch. The children are led in 10 at a time and form a line in front of the judges. Niccy Tranah warms them up and says things such as ‘Big Christmas lights. Put them on!’ to get them to smile. Some get crosses. ‘Weight back all the time,’ ‘Jumping on straight legs,’ ‘So unmusical it was horrendous.’ Mukeni gets ticks, as do Cameron (‘So boyish!’ the judges say), Isabella (‘Adorable’) and Ruby (‘Quick learner, great head on the turns’). Lucille Briance is tall and authoritative, and speaks with a hint of an American accent. She was born in New York, where her father was a stockbroker and her mother devoted herself to good causes: launching libraries, scholarship programmes. ‘My mother is very big on, “To whom much is given, much is expected,” ’ she says. After graduating from Smith College, Massachusetts, where she read political science, she worked in publishing in New York. She moved to London in 1980, after marrying Richard Briance, who is the head of a merchant bank (and son of Prunella Briance, the founder of the National Childbirth Trust). After a spell at Vogue as managing editor and then merchandising editor, Briance gave up work to be a stay-at-home mother. She has four children: Zoe, 31, is the executive director of LCB; Henry, 29, works in private equity in New York; Clemmie, 26, is a social worker; and Freddie, 24, works in retail. ‘I certainly didn’t expect to be running this,’ Briance says. ‘I thought I’d have an idea and hand it on in a month to the ballet world.’ In fact she devotes 11 months a year to LCB (August is spent with her 94-year-old mother in Nantucket). She searches for stories to adapt (she met Emma Thompson after the actress came to a show), fires off letters, meets agents, who recommend costume and set designers, networks supporters and organises fundraising events (for example, dinner with Emma Thompson and 250 friends at Bafta), driven by a belief in the transformative effect of hard work and ‘children from all backgrounds feeling stretched and important’. It is now March and back at Dance Attic Isabella is learning that LCB’s professionalism requires sacrifices. She has two parts: as Aunt Adelaide and in the corps de ballet playing magic dust – an invention for the ballet. It is her ninth Sunday of rehearsals and her routine is this: alarm at 4.30am, pull on clothes and reach for ballet bag, which is already packed. Once she is bundled in a coat, her mother drives her along country roads and they park at a Morrisons. The coach from Totnes to London leaves at 5.05. Isabella sleeps on the coach, or does her homework. Once they get to London, the ritual is to run through her steps in her head as she walks down Fulham Broadway towards the studio. ‘She’ll be talking, naming her steps, and her arms will be twitching as we get closer,’ her mother says. While Isabella is rehearsing, her mother spends time with friends or goes shopping. If Isabella finishes early, they can make the 4.30pm coach back to Devon. But normally it is the 7.30. ‘So we get home after midnight,’ her mother explains. [London, England] – It’s hard to tell who’s more nervous: the children in the rehearsal room, or the parents, waiting in the café. It’s a Sunday afternoon at Dance Attic Studios in Fulham, and as the sky darkens outside and traffic rumbles past, auditions are being held for an ambitious new show. 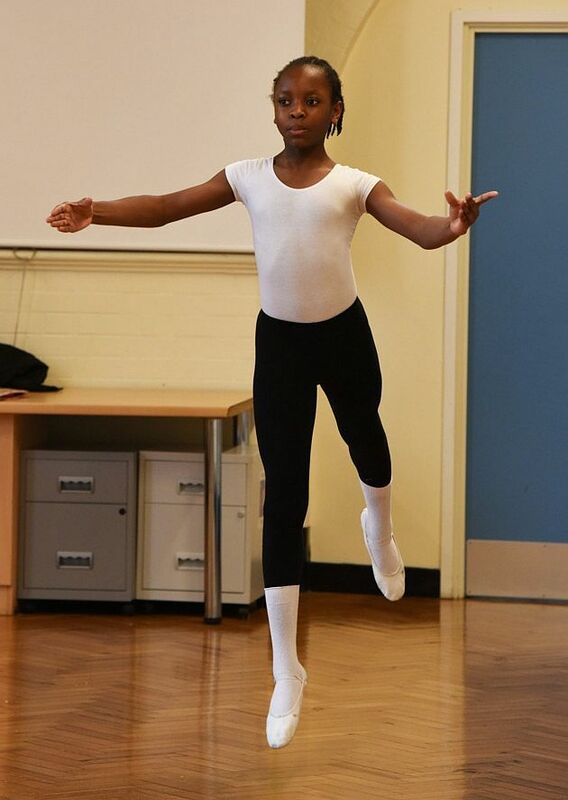 The London Children’s Ballet (LCB) has been giving children the chance to experience a professional production, from auditions to West End performance, since 1994. This year, they’re staging an adaptation of Nanny McPhee, the story of seven mischievous children who have driven away every nanny they’ve ever had (Emma Thompson, who wrote the film’s screenplay, has given it her blessing). Of more than 500 children who’ll audition, 50 to 60 will be chosen, aged between nine and 14. But this is no watered-down version that makes allowances for its young cast. They’ll have to learn and perfect complicated steps. If they get through, the next five months will be taken up with weekend rehearsals, plus a two-week intensive burst during the Easter holidays. “And it takes up your energy,” adds Luca. In the main room Fiona Chadwick is going through her notes. “We’re finding some lovely dancers,” she says. “It’s usually obvious who the very strong ones are, and the weaker ones, but it’s the middle ones that cause the problems.” It’s about giving them a fair chance, she adds. Their dancing might be affected by nerves, and if they’ve been in a previous LCB production, they’ll look more confident than children who’ve never experienced anything like this. What are the judges looking for? “Certainly technical ability – that they can do certain ballet steps. Then you’re looking for personality, and how quickly they can pick things up.” The pianist begins to play as the boys file in. Erico Montes, a 28-year-old First Artist with The Royal Ballet, who comes from Brazil, teaches the routine. It looks complicated. One boy is quietly practising by himself. For another, the pressure gets too much and he says he feels sick. He’s promptly sat down with a glass of water. Today, they’re rehearsing a scene where the unruly children fight with their house staff in the kitchen. The first run through is a technically complex standoff between the two groups. After a while, the excitement proves overwhelming – the boys are told off for talking and fidgeting. “I know this is exciting but if we want it to look good, we have to focus,” says Montes, kindly but firmly. Everyone scuttles into position. The boys learn a ‘sword fight’ – in the show they’ll use kitchen utensils – then run through it all from the beginning. “That wasn’t bad,” says Montes, smiling. It takes two hours to practise a routine that lasts 45 seconds. Montes gathers the children around him. “It’s looking good. But we need to be calm, focused.” Next will come the costume fitting, and two dress rehearsals. The show opens in April. [Surrey, England] – Aspiring young ballet dancer Charlie Taylor has never had a problem wowing tutors, judges and audiences when it comes to doing what he loves. But now the 12-year-old from Capel believes he can finally win over his toughest critics in the playground after being accepted onto the cast of a new show at the world famous Sadler’s Wells theatre in London. 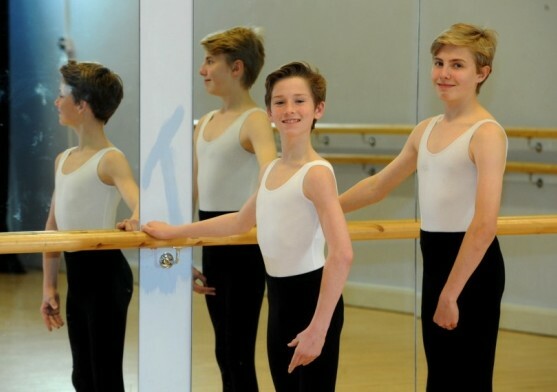 The youngster, an associate at the Royal Ballet School for four years, has been selected from hundreds to perform in the new production of Nanny McPhee as part of the London Children’s Ballet. Charlie will be one of dozens of young dancers aged from nine to 16 to perform in the new production of Emma Thompson’s story of an eccentric nanny with magical powers. Flamstead End Primary School Spencer has been dancing since he was three years old and attends Step2Step Dance Academy in Fairways, Cheshunt. Spencer will find out his role in the show in December when he heads down for the casting call and wardrobe fitting. He will then have to practise at rehearsals once a week until the show in April. Dean, is looking forward to see his son take part in the performance of Nanny McPhee in Sadler’s Wells’ Peacock Theatre. After being involved with the London Children’s Ballet (LCB) last year, Spencer met celebrities including Hugh Grant and Emma Thompson.